Hermanus, or Herman Kroes was born in a catholic family in Haarlem on October the 21st of 1864. 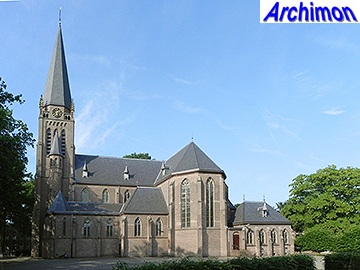 In 1890 he settled as an architect in Amersfoort. 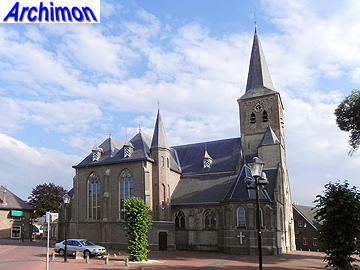 For several years he was a member of the Amersfoort city counsil on behalf of the catholic party. He was responsible for more than 175 projects, of which assignments of a religious nature are probably a minority. Kroes' first known works date from the 1890's. Among his profane buildings are houses, shops, a farm etc. He had completed many profane buildings, often working with W.H. Kam, before his first assignment of a religious nature. In 1898 he enlarged the Museum Flehite in his home town in Neo-Renaissance style. His earliest religious works are in Neo-Gothic style, a style he used until the 1920's. His neo-Gothic work often bears a resemblance to the work of A. Tepe. 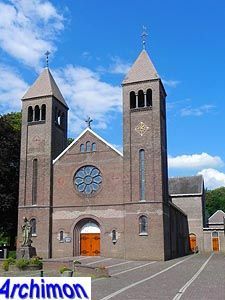 Later he also designs churches in a Neo-Romanesque that appears to be inspired by J. Stuyt. 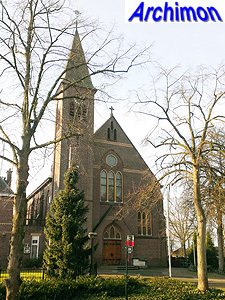 Kroes mainly worked in the Archdiocese of Utrecht. In ca. 1925 he was joined at his office by his youngest son Willem Kroes, who possibly was responsible for the influence of Expressionism. 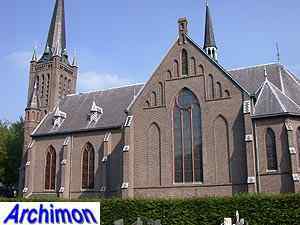 For several years the office was working as Herman Kroes and son. A 1936 phonebook however mentions both W.C.A. Kroes and H. Kroes en Zn with seperate adresses. H. Kroes died in Amersfoort on March the 6th 1953. 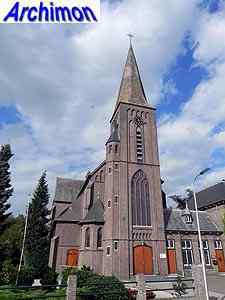 His son Willem Christiaan Albert Kroes was born in Amersfoort on January the 16th 1896. He studied architecture in Delft in and around the year 1920 and later worked for and with his father. It is not known what his contribution to the work with his father was, or the part of his father for that matter, because most of the assignments were fulfilled under the name Kroes and son. 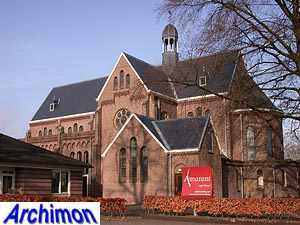 Like his father before him, he was a member of the Amersfoort city counsil. In the Second World War he was active in the resistance against the German occupation. He was arrested and was executed in concentration camp Sachsenhausen on May 11th 1942. The following is a list of the religious works of H. Kroes, including those in conjunction with W.C.A. Kroes as well as those attributed to the latter. It is not complete. 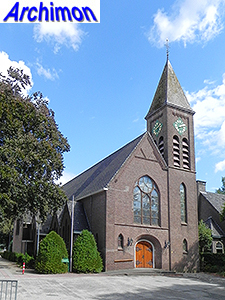 New wings added to an older complex of which the parts, including the chapel, were incorporated. Originally a two-aisled church in Neo-Gothic style. Enlarged by J.Th. van Elsberg into a three-aisled church in ca. 1930. 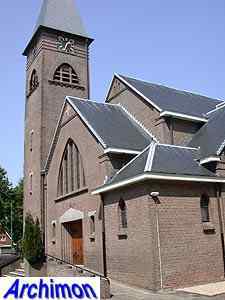 Small aisleless church in neo-Gothic style, with short tower. 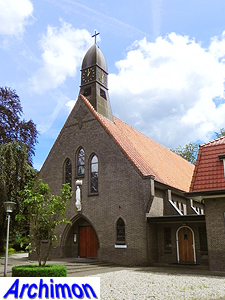 Originally an aislelels church in Neo-Gothic style. Enlarged with side-aisles (by J.Th.J. Cuypers) in 1923 and lengthened in 1937. Renovation of interior only: replacement of wooden pillars and imitation vaults by brick ones. Aisleless cruciform church in Neo-Gothic style, with tower. 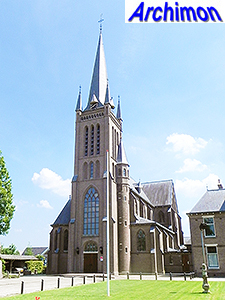 Aisleless church in Neo-Gothic style, with tower at the front corner. Neo-Gothic tower added to a church from 1841. Complex in a combination of Rationalism, Neo-Renaissance and Neo-Gothic. Originally an aisleless cruciform church in Neo-Gothic style, with tower. Side-aisles added by C.A. Hardeman in 1931, turning the church into a basilica. Three-aisled cruciform basilica in Neo-Gothic style, with tower. Three-aisled cruciform basilica in Neo-Romanesque style, with two front towers. Church in neo-Romanesque style, with two cylindrical front towers. Demolished in 1965. Small cruciform chapel in Neo-Gothic style. Replacement of part of the Gothic nave and the entire mid-19th century choir by a double transept and a new choir in neo-Gothic style. Three-aisled cruciform basilica in Neo-Gothic style, with lower polygonal side-aisles and tall frontal tower. 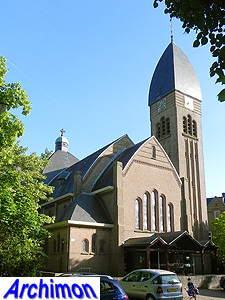 Three-aisled cruciform church in Neo-Gothic style, with tower at the front corner. Cruciform basilica in neo-Romanesque style. Kroes also designed several other parts of the convent. Three-aisled cruciform basilica in Neo-Romanesque style, with similarities to work by J. Stuyt. 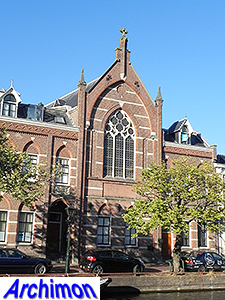 Enlargement in Neo-Gothic style of an older convent by adding a storey and replacing the facade. Attributed to H. Kroes and son. Three-aisled cruciform basilica in Neo-Gothic style. Centralizing ground-plan with wide transept halfway the nave. Attributed to H. Kroes and son. Small aisleless church in Expressonist style. Attributed to H. Kroes and son. Church in Expressionist style with a centralizing ground plan, with dome on the crossing. Tower with parabola-shaped spire. Attributed to H. Kroes and son. Three-aisled cruciform basilica in Expressionist style, with tower. Attributed to H. Kroes and son. Wide aisleless church in Expressionist style. Attributed to H. Kroes and son. Demolished in 1987. 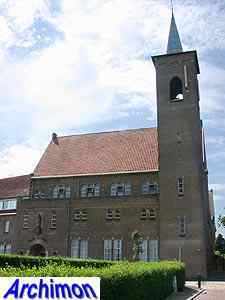 Complex in Traditionalist style with a convent, three schools and a chapel. Attributed to B.J. Koldewey in conjunction with W.C.A. Kroes, but the role of the latter is unclear. Complex in Traditionalist style, with chapel. By W.C.A. Kroes.